6th June 1868, Outlands near Stoke Damerel, Devenport, Devon, England. 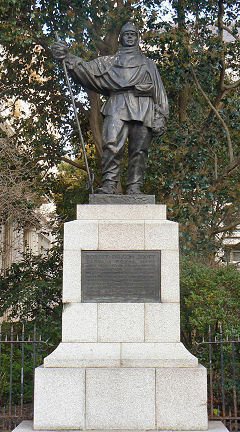 Robert Falcon Scott was the son of John and Hannah Scott. Local School. Joined the Royal Navy when he was thirteen in 1881. 1881: Scott joined the Naval ship H.M.S. Boadicea as a Midshipman and was transferred to other ships over the years to complete his training. 1886: As a Midshipman aboard H.M.S Rover he took part in a race between four English cutters in St. Kitts in the West Indies. Scott’s boat won and he was invited aboard H.M.S. Active to dine with the Commodore. Present at this dinner was the cousin of the Commodore, Clements Markham who was so impressed with Scott that he wrote about him that he was “the destined man to command the Antarctic expedition.” Scott continued serving in ships of the the Royal Navy until 1901. 1901: Robert Scott commanded the National Antarctic Expedition ship “Discovery” which explored the Ross Sea area and King Edward Seventh Land and he ventured further south than any other ship thus far. 1904: He was promoted to Captain. 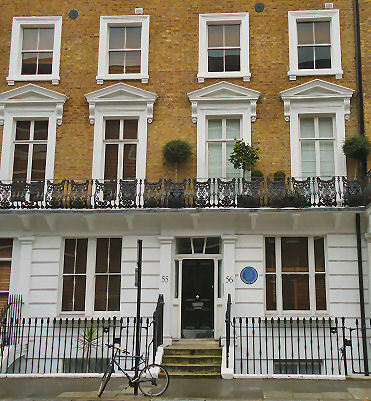 Moves with his Mother and two sisters to a house at 56 Oakley Street, Chelsea. 1910: He embarked on his second Antarctic expedition, this time in the ship “Terra Nova” with the intention of reaching the South Pole. 1912: After much bad luck on the voyage southwards his sledge party consisting of himself, Edward Wilson, Lawrence Oates, H.R. Bowers and Edgar Evans set out across the snow and ice. They finally reached the Pole on the 18th January 1912 but found that they had been beaten there by one month by the Norwegian Expedition led by Roald Amundsen. Disappointed they turned back but faced severe blizzards and the illness of Evans and Oates who both died en route. Finally the remaining members of the team including Scott perished near the One Ton Depot in March, all succumbing to starvation and severe cold. Their bodies and significant diaries were found by a search party eight months later. Scott was Knighted posthumously because of his bravery and the Scott Polar Research Institute was established at Cambridge in his memory. Despite their failure to arrive at the South Pole first much important scientific findings had been made during the expeditions. To Kathleen Bruce a sculptor. 29th March 1912, Antarctica of cold and starvation. Body frozen near South Pole. 80 Royal Hospital Road, Chelsea where he planned many of his expeditions. 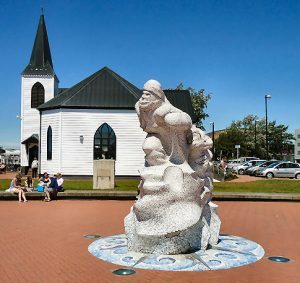 RSS Discovery, Discovery Quay, Dundee.